When you want to make a presentation or leave a presentation behind, make sure you use SG Printing to produce your folders. We can produce as many copies as you need with custom information and creative styles to leave at your customers’ fingertips. 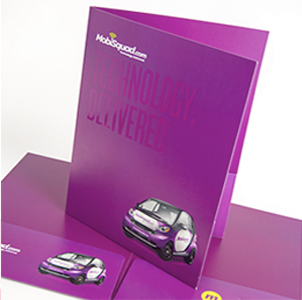 Our presentation folders are available with UV coating on the front/outside area of the folder and on the pockets. The inside/insert area of the folder will not be coated with UV. All Matte/Dull products will be printed with a matte coating on both sides.